For many cap collectors to say they have been "chasing the dream" for quite some time would be the most modest of understatements. Many that I've had the pleasure of getting to know have been working on their ultimate hoards for well over a decade and some for as long as 25 years. That type of commitment and desire is something to be revered but let us not forget that one day the future of our craft will eventually be carried out by the next generation. Today, we get a chance to meet one of the youngest cap connoisseurs around. You may not know the name, but rest assure, it's one you're going to want to get to know. This 21 year old, hailing from the depths of the desert, can only be described by one word; NEXT. He may be early in the hunt, to some, but sooner rather than later all bets are on this collector being a giant in our game. Without further ado, here is this weeks conversation with Brett Swartz. TFD: Brett, where do you call home? BS: I am originally from Orange/Riverside, California but I moved to Phoenix four years ago to go to college. BS: I wear a 7 3/8 but can make 7 1/4 or 7 1/2 work in a pinch. TFD: When did you find yourself beginning to collect fitted caps? BS: I have always been really into caps. When I was growing up I had a cap for each of my favorite team. In high school, I expanded my collection to around 20 caps. I really didn't consider it a collection. There were a few caps I wore and some others that were older that I didn't want to get rid of. When I got to college, I noticed a few hat collector accounts on Instagram; Spike Leach (@SpikeLeach), Will Schaule (@goodwillyum), Anthony Collicchio (@xclickaroox), etc. I started expanding my collection from that point forward. In February 2016, the Kansas City Royals were fresh off their World Series win and newly designed Spring Training cap dropped with the Royals adding a crown to their "K.C." logo. I knew I had to have it. For two weeks, I drove to different Hat Club stores in Arizona and even to the Royals Spring Training facility (looking for the cap). After nearly giving up, I stopped into a random Hat Club that I had never visited before; of course, the caps were there on the shelves. The feeling of finally finding one was something I looked to replicate. 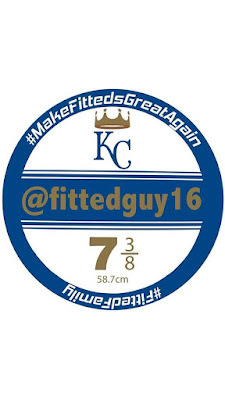 Around March 2016, I decided to start a fitted cap specific Instagram account. separate from my own. Since then, my cap collection has exploded. TFD: Can you remember what your very first cap was? BS: I personally cannot remember it but it is well documented in pictures. As a baby, my Dad had a newborn sized Kansas City Royals New Era Authentic Collection cap for me, when I was born. That cap is in a lot of photos. It's still in my possession, today. TFD: Where does this love for the Royals come from? BS: My dad lived there during a very key year in K.C. sports history. As a 9 year-old, he witnessed the royals come to fruition, in 1969. He witnessed the growth of a future Hall-of-Famer, in George Brett (guess who I was named after). My dad also saw the first Royals World Series victory. From all that, his fandom was passed down to me. Not that I had a choice, anyway. After years of torment, they finally rewarded my loyalty in 2014 and 2015. Those years were filled with moments that I will never forget. Sports truly are magical, aren't they? TFD: If anyone follows you on Instagram, they can see that the majority of your caps are baseball related. Any favorite teams, other than the Royals? BS: Since living in Arizona, I have developed a soft spot for the Diamondbacks. MiLB wise, my favorite team was the (now defunct) High Desert Mavericks. When I was a kid, my dad ran a club-baseball team named after them. I played many games under that "hatted-M" logo of theirs, so it has held a special place to me, in terms of cap collecting. TFD: Are there any specific rules you have, in terms of what caps make the collection and which don't? BS: I usually stick to USA-made polyester caps, due to them fitting my odd-shaped noggin the best. I don't really have rules, besides that. However, from my page you can see I mainly stick to baseball related caps. TFD: You recently did a mini-tour of the Arizona Fall League, where you happily helped multiple members of Team Fitted acquire On-Field caps. Which team in the league has your favorite cap/logo and why? BS: Everyone loves the Scorpions logo, due to its awesome design and notable team alumni (Michael Jordan, Tim Tebow, Mike Trout, Bryce Harper, etc). However, I actually dig an outside the box, team. 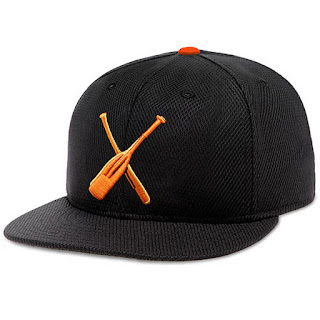 My favorite is actually the Salt River Rafters cap, because, to me, it is just so unique compared to other baseball logos. It just stands out. I have been helping people get AFL caps for two seasons, now, yet I still don't own a single one of their caps! Guess I need to fix that! TFD: What would you say are some of your favorite caps? 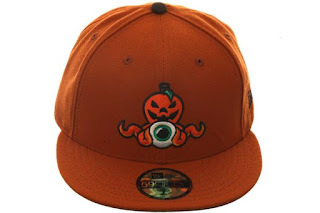 BS: Some of my favorite caps are my Royals 2016 Ring Ceremony/Friday alternate cap, the ever-illusive 2016 Asheville Tourists "Beer City" cap (one of my first MiLB caps) and my Casper Ghosts cap. TFD: Are there any "holy grail" caps that you would like to add to the collection but have had trouble finding? 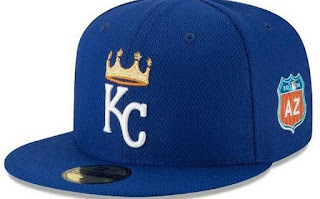 BS: Any of the Royals special event caps, pre-2015; Memorial Day (2013-2015), Stars and Stripes (2008-2013), All-Star patch caps (pre-2016), along with all of their older Turn Back The Clock caps (2011-2015). I missed out on those, back in my pre-collecting days. 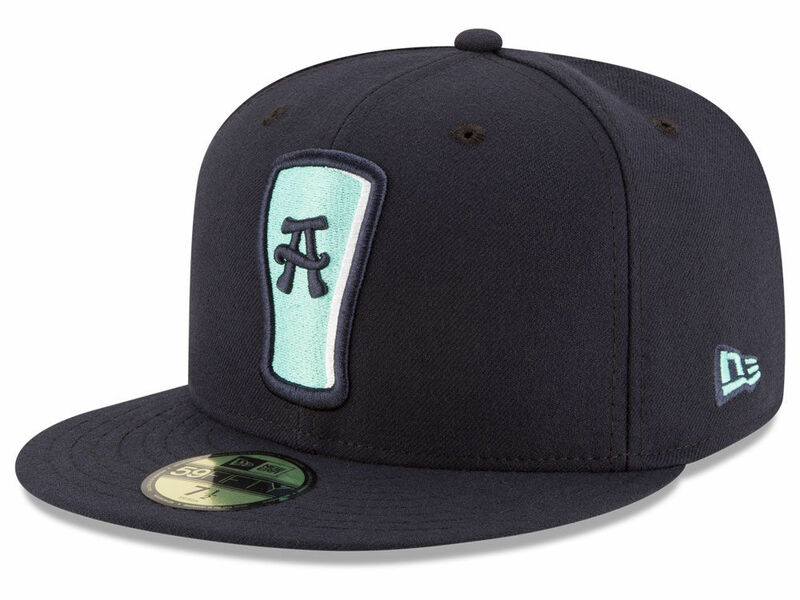 Another one I would like would be the Portland Beavers two-tone cap from the 2008-2010 era. There are a few others that I really want that I wouldn't say are quite grail status...yet. TFD: What are your most frequented hat stores? BS: Hat Club, for sure, being in Arizona where they have most of their locations. It's pretty easy to visit them. Plus, they do the best business in the business, in my opinion. 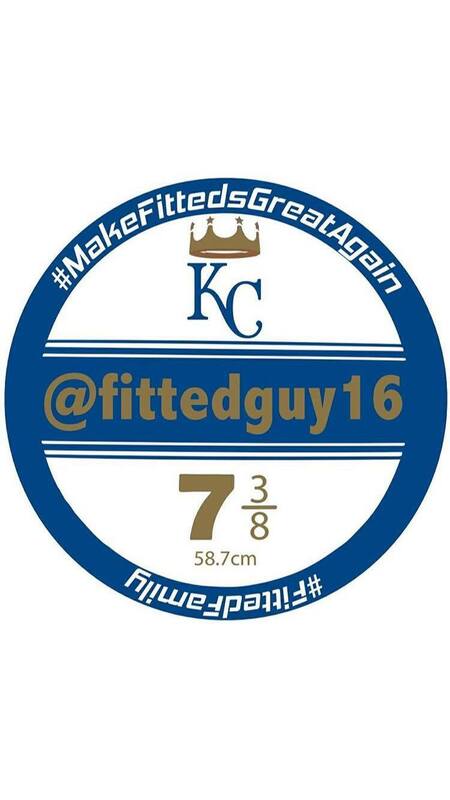 TFD: Have you enjoyed being part of the Team Fitted group? BS: 100%. I love chatting it up about caps and other cap related topics, with other collectors. I also love seeing what everyone else is grabbing, especially when I can't afford to buy one. I love being able to assist people with finding caps they want (I.E. : the Arizona Fall League caps). TFD: What does the fitted culture mean to you? BS: It gives me hope that I am not alone! Even among baseball players, who own more hats than usual, I am the crazy hat dude on my team. On a more serious note, it is amazing what fellow cap collectors are willing to do to help out one another; whether it is a person with thousands of caps or even just ten. I can't count how many times other collectors have assisted me with information or have even grabbed a cap for me in person, all the way across the country. That kind of blind generosity is a model I think the whole world could benefit from following. TFD: If they don't do so already, where can the readers find you on social media? BS: On Instagram I go by @FittedGuy16. I do have a personal account but I do like to keep that one separate. I use my cap account quite a bit more. On Twitter, my handle is @Swartzy16. Those are my most-frequented social media outlets. I also use Flickr to catalog all of my caps. If anyone wants to see an updated view of my collection, you can check out my account there. TFD: Lastly, if you could design your own custom New Era Cap, what would the inspiration for that be and what might it look like? BS: That's a great question. I really love what Hat Club is doing right now with the customs and in-house designs. The Dionic Danny creations, as well. Personally, I would follow on Danny's path by creating a faux-team identity and branch off from that. As far as inspiration and what it might look like, I have no idea at this point in time. However, I have always wanted to dabble in the custom-game, so who knows. Maybe something will come of it in the future. It's really a professional article about baseball cap! really like it as a same baseball cap liker.